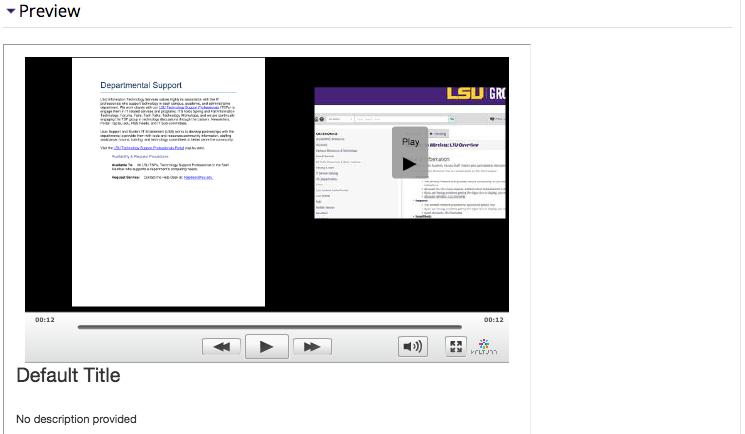 When students submit Kaltura media for an assignment, instructors view and grade the submissions within the Kaltura Video Assignment. See Adding a Kaltura Media Assignment. 2. Locate and click on the assignment you wish to grade. 3. Click the Grade Submissions button at the bottom of the window. 4. Locate the student that you want to grade, and click the Grade button under the Status column to the right side of the screen. 5. View the submission in the Preview area. 6. 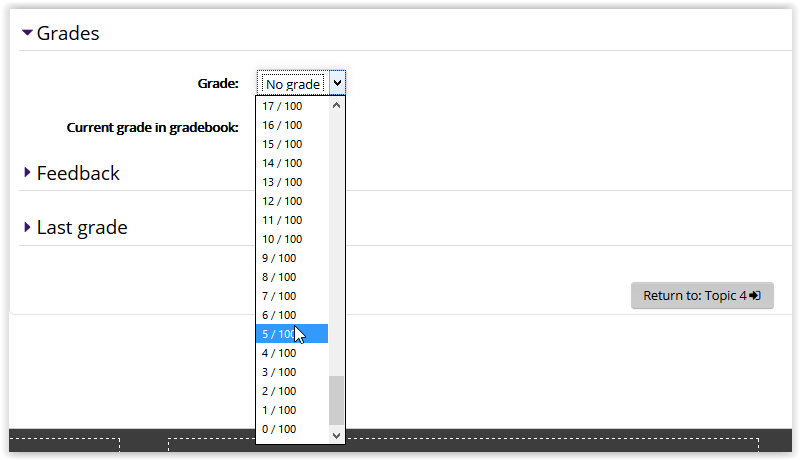 Use the drop down menu under the Grades tab to set the grade for the submission. 7. Use the Feedback area to give the student a description on why they received the grade that they did. 8. Click Save Changes when finished. The submission will now be graded and the score will be added to the gradebook.